A business website generally serves one of two purposes: a space to provide general information about your company or a direct platform for e-commerce. If you don't plan to accept payments through your website, you won’t have as much work to do in setting it up. If you are a retailer or service provider and want to offer your customers the option to pay online, you’ll need to use an external service to receive your payments. Your domain name is one of the most important features of your website. It's the URL you'll be sharing with your current and potential clients, and if you want to keep them coming back to your site, you need to make it something memorable. Try to keep it short, and steer clear abbreviations, acronyms and numbers if possible. The other thing you will need to decide is your Top Level Domain, or TLD. This is the suffix at the end of your domain name. It may be tempting to register a “.net” or “.biz” if your desired “.com” domain name is taken, but experts recommend adjusting your name and sticking with “.com” to avoid confusion for potential customers. Once you’ve selected your ideal domain name, you’ll need to confirm its availability and purchase it through a domain registrar. Every website needs a host — a server where all of its data is stored for the public to access at all times. As a small business, hosting your own website is simply too large an expense, so you’ll need to select an external host. Depending on your budget, you can go a couple of different ways with this. A shared Web host, the least expensive option, means you'll be sharing a server with other sites. Dedicated hosting costs significantly more, but it means that you get your own private server and won't have to compete with other sites that could drag down the speed of yours. A relatively new option, cloud hosting, stores your information on an online infrastructure of servers. Many website owners who go with this option are pleased with its speed and scalability, but the shared nature of cloud hosting creates the potential for information security issues. A good website consists of more than just a home page. You'll want to create multiple pages dedicated to different aspects of your business, such as a detailed catalog of your products or services, or a blog section for company updates. A contact page — your customers’ direct link to you — is one of the most important sections of a website, so make sure you include as much information as you can (phone number, email address and physical location if applicable). It’s also a good idea to include some information about you, the founder, through an “About” page. Putting a face behind your brand gives it a more personal touch: your clients will feel like they really know who they’re dealing with when it comes time to strike a deal. If your business doesn’t already have a logo, consider hiring a graphic designer or creating one yourself to use on your website, business cards and social media profiles. This will help your clients identify your company quickly and easily on the Web. While this step won't apply to all business websites, companies that want to offer the option to pay online will need to integrate an electronic payment system into their website. The easiest way to do this is through a mobile payments service or by using ecommerce software. Before you announce that your site is live on the World Wide Web, make sure it works on major browsers like Internet Explorer, Firefox, Safari and Chrome. 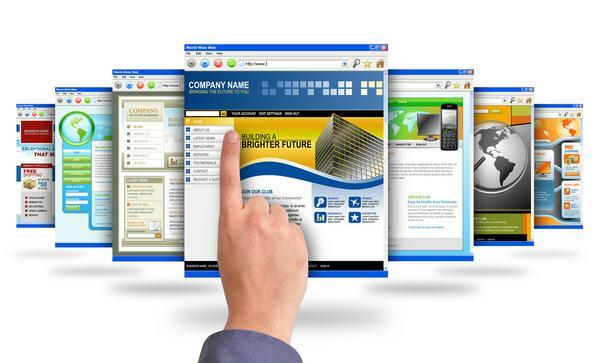 Click through each page and feature on every browser to ensure a hassle-free user experience. This will take some time, but the effort you put in now will save future complaints from visitors who can’t access certain features. If your business doesn’t already have profiles on Facebook, Twitter and LinkedIn, create them now. This is the best way to increase your audience reach and alert your clients to what’s going on with your company. Anytime you update your website, write about it on all of your social media outlets. Be sure to include links to these profiles on your home page. Submitting your website to major search engines will also help direct potential leads to your page. Staying relevant is just as important as being on the Web in the first place, so update your website frequently with blog posts on current industry events, new products and offers, or company news to keep visitors coming back to the site. You should also test your site periodically and make sure that you are using the latest versions of your Web host’s software. If you don’t have time to do this yourself, delegate the task to a trusted employee or hire a freelance website manager. Starting a website for your business is a low-cost investment that will help you to both establish credibility and reach a wider customer base than you ever could through traditional marketing techniques. As long as you keep your website updated with fresh, current content and are quick to address technical issues, you’ll never have to worry about “not existing” to your current and future clients.